The list of healthy food at Costco is pretty long. Almost as long as the list for unhealthy food! 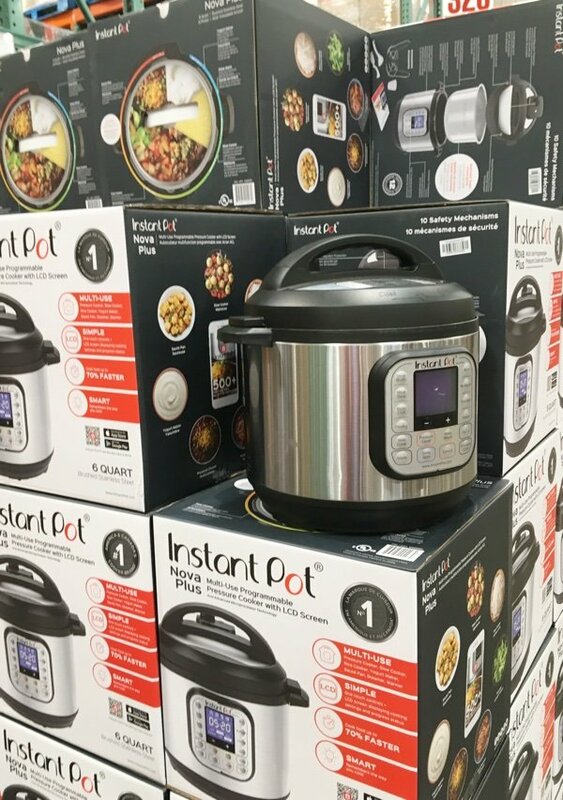 I am pretty much always on the hunt for deals and I did an Aldi review because Aldi is full of them. Costco is a different animal but if you shop wisely you can find quality food at great prices. Why do I like Costco? I live about 30 minutes from one so I only go there about once every two months but when I do - my Honda Fit is literally overflowing with food, soap, toilet paper, and children. One time, I had to tie my son onto the roof. 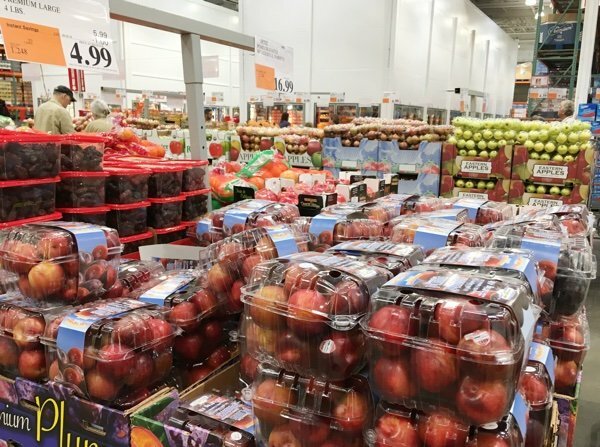 I was asked recently about my tips for meal planning and Costco figures into my overall food strategy. I buy many pantry items there and store them in my basement and in a deep freezer. When it comes time to cook, I shop in my basement (my freezer is also in my basement). This system allows me to spend less time (and money) at my local grocery store and more time cooking. NO! These are very large and not a good choice. That goes for all the cakes, cookies, pies, enormous bags of chips, and the wheel of Brie which is the same size as my Honda Fit steering wheel. Don’t do it. Walk by the sample lady and tell her you are allergic to whatever she is pushing. You can’t miss with the produce (unless it rots in your fridge). I will buy all sorts of fruits and vegetables here. Keep in mind that you can move fruit that is ripening into your refrigerator to slow it down. I do this with avocados, pears, peaches, and plums. The quality is usually amazing and you can find organic here as well. Is it local? No, but I shop for local stuff at my local market. Here I get Medjool dates, oranges, kiwis, etc. - that I can’t get here in New England. For example, I would never buy apples at Costco. I also buy my guacamole here. This brand has nothing but the good stuff added and keeps well in the fridge. I serve it with tacos and will eat it with Triscuits as a snack. They also sell enormous tubs of hummus but I don’t buy them because they are too big. 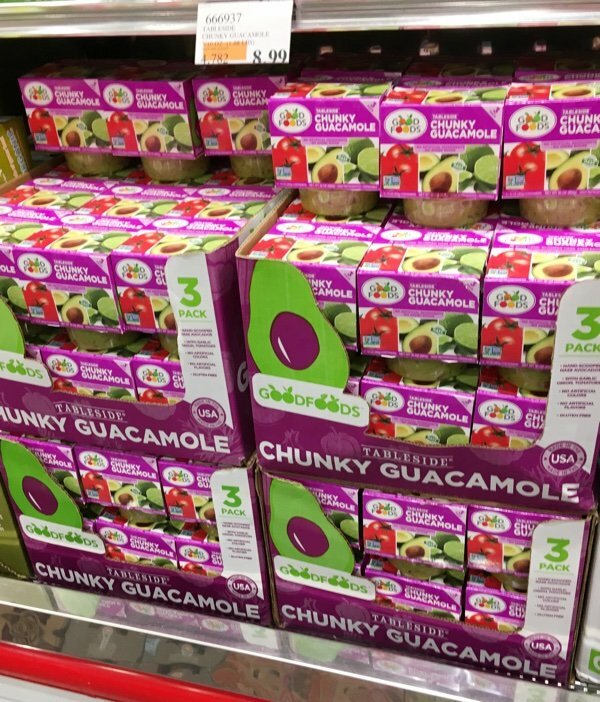 This guacamole is in three serving packages that are reasonable (and they keep for a month). frozen wild salmon and Atlantic cod (each fillet is in a separate bag). I store all of this in my freezer and thaw the meat as needed. 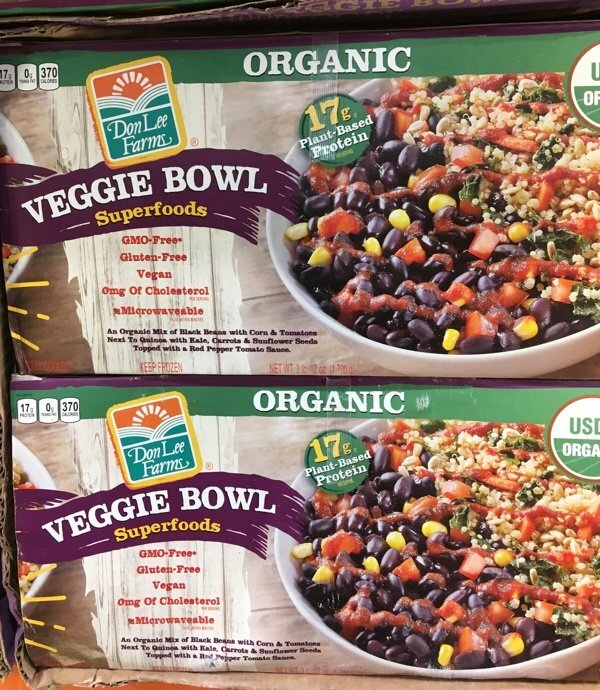 I try to buy organic when I can because I believe it is better for the environment but if you can’t afford it (or don’t want to buy it) - they have the regular stuff as well. This product was truly delicious and not high in sodium. I don’t know if all Costco’s carry this but I recommend it. Also, I have seen Dr. Praegger’s spinach cakes there. You have to wade past the frozen pizza to get to these products but I always take a look. I found a great bathing suit there (I know that is bizarre). Finally, Costco has an amazing return policy so I buy appliances there. Over the years - blender, microwave, coffee maker…… I guess you can say I am a pretty dedicated Costco shopper. The downside is that Costco requires that you pay a $60 membership fee per year to shop there. I know I save that because I shop there often enough but I also love the convenience of having a bulk amount of something that I use so I am not always going to the supermarket for something that I have run out of. There is a massive convenience factor when you have 4000 rolls of toilet paper in your basement. I could supply the entire neighborhood! Then there are all the things that I just pick up like wiper blades, floor mats, sunglasses, flip flops, underwear, eyeglasses, dog medication, socks, flooring (yes I bought a new floor there), and car rentals. At any rate, I get that for some people it doesn’t make sense to pay $60 per year if they don’t think that they will save that. 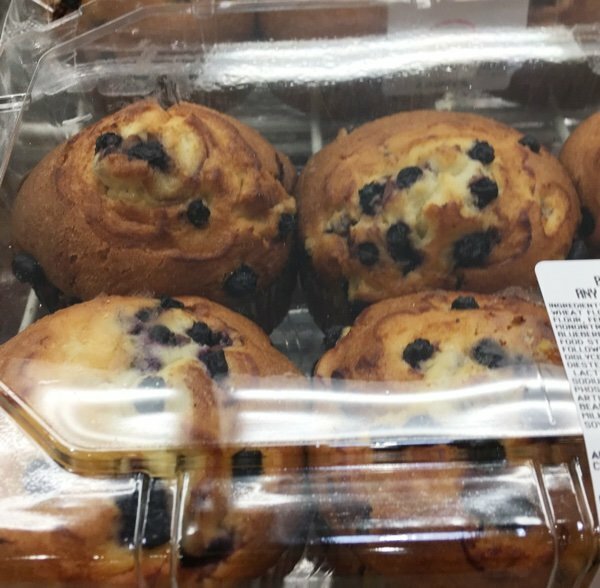 What healthy food have you found at Costco? What are your favorite products? Do you like shopping there? Tilapia, Baby Bel Light, Madras Lentils (2 servings per pack), toilet paper, paper towels, Salmon. I'll look for the Veggie Bowls and Guac on my next trip. I found some very nice long sleeve shirts for workout, Champion, I think. Material is so soft and they're long enough to cover my tush. Nice enough to wear for running errands after aerobics class. I do enjoy shopping at Costco when it’s not super crowded. I love the individual servings of guacamole. My husband doesn’t eat it (there are only the 2 of us) so I can have guacamole and portion control. My husband really likes the Nautica boxers. Fresh berries are usually a better price than the local grocery stores. Also readers in 3 or 4 packs. Sometimes I find favorite wines at good prices. I lived in AZ where there were 3 Costcos all within a short drive. I now live NH and must drive 1.45 minutes to the nearest and only Costco in the state. I would like to point out that their pharmacy is fabulous, personnel-wise and price, and even though it requires a heck of a drive the cost of prescriptions vs local drugstores (CVS, Walgreens) is well worth the drive. Love their skinless, boneless chicken thighs; rack of lamb and frozen wild blueberries (tiny and tasty!) Water by the case and Keurig coffee pods are a great value. Laundry products/paper plates and garbage bags. I try to go on weekdays around 5:30 or 6 p.m. - seems like that's the least busy time for us. Otherwise the lines are crazy long - and in Florida (we're snowbirds) there is no good time to go to the Naples store - overcrowded, small and full of rude people. Prefer to go to Sam's there - less crowded - basically the same stuff. Great discussion on these warehouse stores. I do pay the Executive membership at Costco ($100 per year)AND yes Sam's Club $45 a year AND BJ's too...ok, I'm a warehouse store junkie...what can I say? We used to shop Costco when we lived in CT. I always bought the big bag of Vidalia onions. The eyeglasses were a very fair price and the pharmacy amazing. My father loved the foot long hotdogs you could pick up at the snack bar. I miss that store. There isn’t one in our area of Wisconsin. I agree with the pharmacy prices, as well as the eye center. I appreciate shopping on line as well. When my grandson was on baby formula, the best price was with Costco. I helped out from time to time by ordering and having it shipped to my daughter who lives in another state....how convenient! Their produce is always of great quality plus their employees are very efficient and pleasant. The Executive Membership, extra cost is worth a try. You get a 2% rebate at the end of the year on your purchase. So, this year I received $101, last year was 140. As with Costco guarantee, if it doesn't pay off, you ask for a refund on executive, and return to the normal membership. Milton’s cauliflower pizza - delicious! because then I have some one else to share with me. We love Costco! I too have the Executive membership. I live close to one here in California. We buy chicken, legs, thighs, wings that come in huge packages that zip apart (easy to freeze and portion control) ground bison, salmon, steak, pork chops. I separate all the meats by portions and put into my outside freezer. I buy enough for 4-6 months. There’s 2 and 1/2 of us here. I buy fresh berries (lots of smoothies) almond milk (in a 2 pack) eggs, milk, butter (I can’t believe it’s butter) fruit juice bars, books, clothes, shoes, paper towels, toilet paper, kleenex, booty wipes, and more!! I try to keep stocked up so I don’t have to go to Costco more than 4 times per year. Works for us. Almond butter! Coconut water, organic frozen fruit, walnuts, computer paper, Epsom salts, clothing, coQ-10. Just a few of the items we purchase there. Several years ago I purchased my car through a Costco program that sends you to a particular dealer. Not sure if they still have this deal, but it saved me money and there was no haggling. I love Costco's spinach salad. It has tomatoes, eggs, red onion, cheese, bacon, cranberries, and raisins. I'm sure the poppy seed dressing isn't healthy though. Also love being able to get my prescription eye glasses there. Always spend too much money though. I'm reading what others are buying at Costco so I don't overlook any goodies ha ha. I'm also glad so many are happy Costco shoppers. I'm at Costco every Tue usually to shop. I love it and was surprised early on at the huge crowds and overflowing carts. I did my research and decided to but Costco stock. My husband has even added it into portfolios we manage as investment advisors. I digress. My favs are cat food,salad mixes, bananas, sweetbread, individual hummus, eggs, half n half to name a few. I love the return policy. I've never been refused and wd never abuse it. Once I bought a sleep aid,tried it and realized I didn't like an ingredient. They took back the opened bottle! That's when I bought the stock. Amazing. Coconut oil, avocado oil, olive oil, vanilla, cinnamon, oatmeal, single serving organic (no sugar added) applesauce, beans, coconut milk, almond milk, fresh berries (wish they were organic), certified humane eggs, frozen organic berries,frozen organic broccoli, frozen organic peas, frozen organic mixed veggies, frozen organic corn, organic milk, etc., etc.! 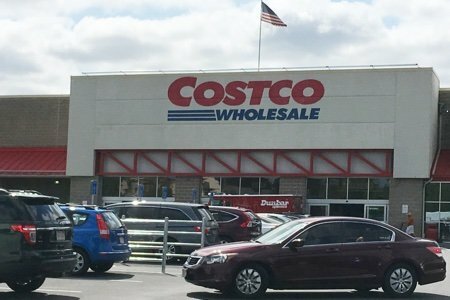 Instead of buying a membership buy a Costco gift card. I read somewhere it would grant you access for the time to do your shopping. Not sure if it is true but it would only take a phone call or email to Costco for confirmation. Jarlsberg Lite Swiss Cheese is only 1 Weight Watchers freestyle point per slice (and delicious). I also love the chicken tenderloins. Their Kirkland brand OTC meds are priced extremely well. Their generic Claritin is always about $11 for a 365-pill bottle! And I think they have some other similarly priced allergy meds as well. And we also bought a new furnace through them, and because we have the executive membership, we got a percentage of that back as well! I looooove Costco!!! Their health/organic food is so much cheaper than anywhere else!! I buy quinoa, chia seeds, nut butters, pure maple syrup, raw honey, and organic produce for so much cheaper. Oh and I'm with you on their frozen salmon!! We LOVE it!!! Love their cases of Premier Protein, Kirkland brand Organic nonfat Greek yogurt is really thick and = to 0% Fage for recipes, Kirkland Signature Turkey burgers are Simply Filling (or 3 SP) but difficult to find. Also buy pillows/sheets/hand towels and kid’s clothing.